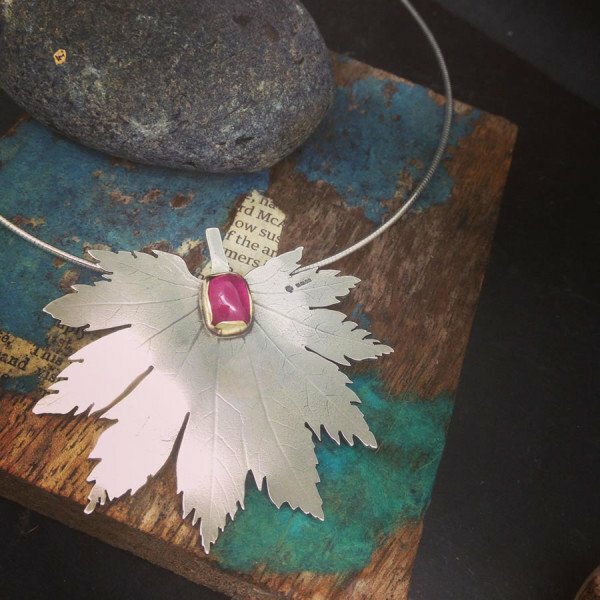 Since leaving the Surrey Institute of Art & Design and Edinburgh College of Art, I have been working as a self employed jewellery designer-maker for over seventeen years. I create one off pieces, inspired by textures in the world around us. I use a technique called roller texturing. I use things like lace, leaves, feathers and petals. I press them in to the surface of the precious metal. The object disintegrates but leaves the surface of the metal with a rich ethereal texture. Using this technique involves a lot of happy accidents, but that is what keeps it fresh, and inspiring. I now work in a converted stable workshop, a calm, relaxing environment which I feel is echoed in my work. 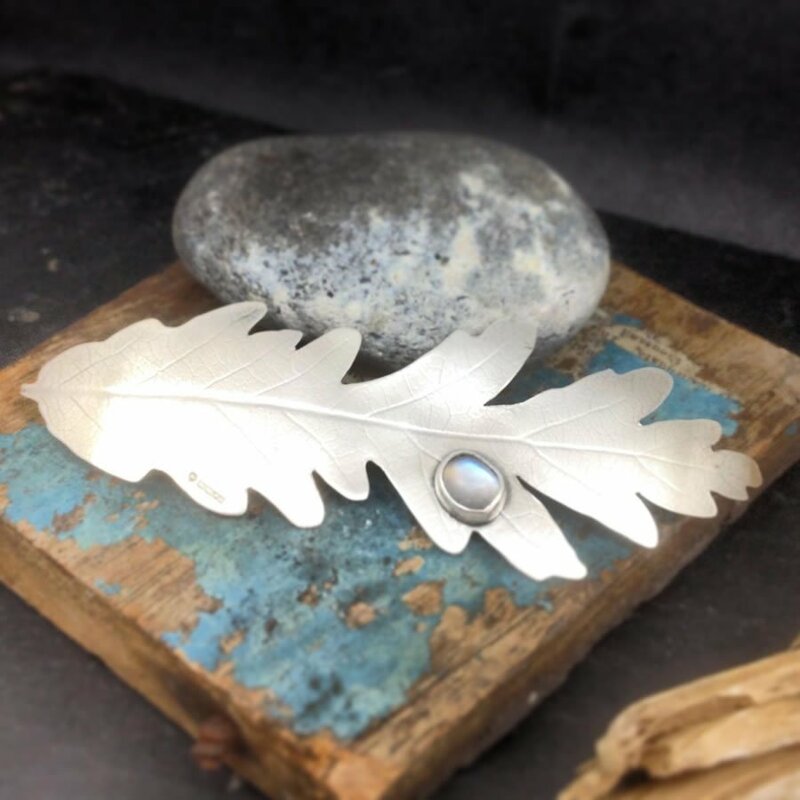 My pieces are very easy to wear for both special occasions and every day. 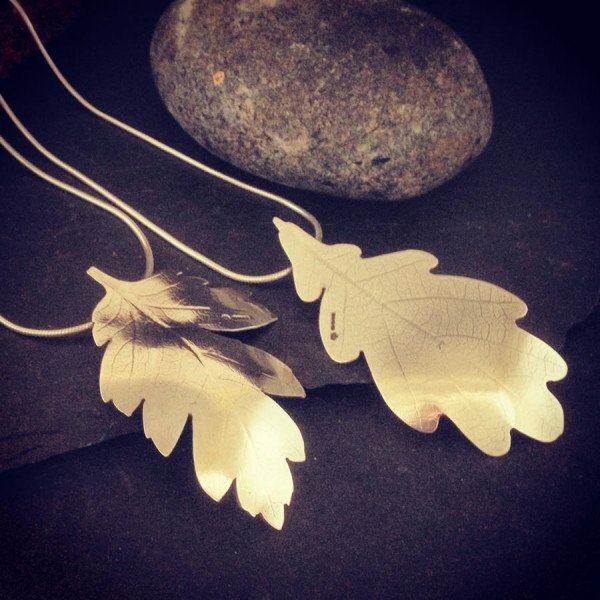 The jewellery can be very evocative, the pressing of a special leaf from a place visited once, or grandma’s lace or even a hair from a horse’s tail. In 2009 I became an associate member of the Society of Botanical Artists; it was the 25th Annual Open Exhibition in April which was held at Central Hall in London. In February 2012 I was made a full member of the Society. A recent Exhibition I took part in was called “Sublime Nature – an illustration of natural forms” at Horsham Museum and Gallery. In 2011, I was asked to take part in “Perfect Present”, an annual exhibition at Worthing Museum and Art Gallery this ran from October 2011 to Jan 2012. I show work regularly in Brighton and Ditchling Open Houses, Steyning Arts exhibitions and also in Eidos Contemporary Jewelry, Santa Fe New Mexico. In spring 2013 I created a series of pieces which is inspired by the Victorian ‘messages from nature/the Language of Flowers, these pieces were a celebration of the British countryside, in all its diversity. I am currently involved with Steyning Arts, a relatively new co-operative that organizes two art events a year. We create an Art Event in the summer and a collection of exhibitions in the winter, towards Christmas. I am the Chair and social media coordinator for this group.